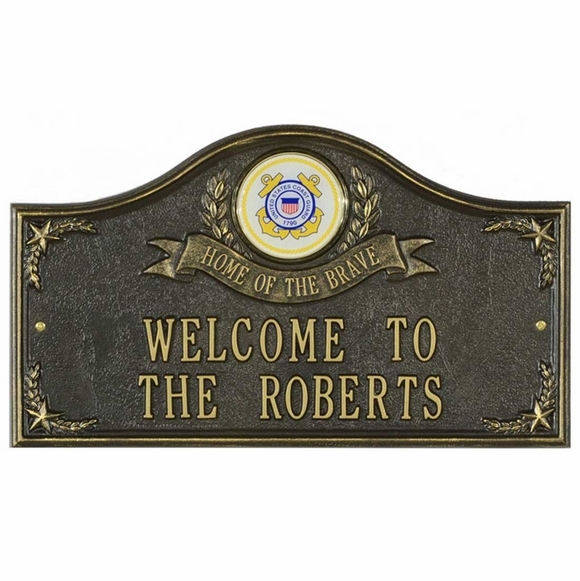 Personalized US Military Home of the Brave Address Plaque - - contains a full-color Army, Navy, Air Force, Coast Guard, or Marines medallion; a Home of the Brave banner; and one or two lines of your personalization. Available for either wall mount or lawn mount. Proudly made in USA just for you.